Walt Disney is one of the most influential men the world has ever seen. He is an artist, entertainer and entrepreneur who had made impossible things possible through sheer will and dedication. He taught the world the importance of creativity and innovation. 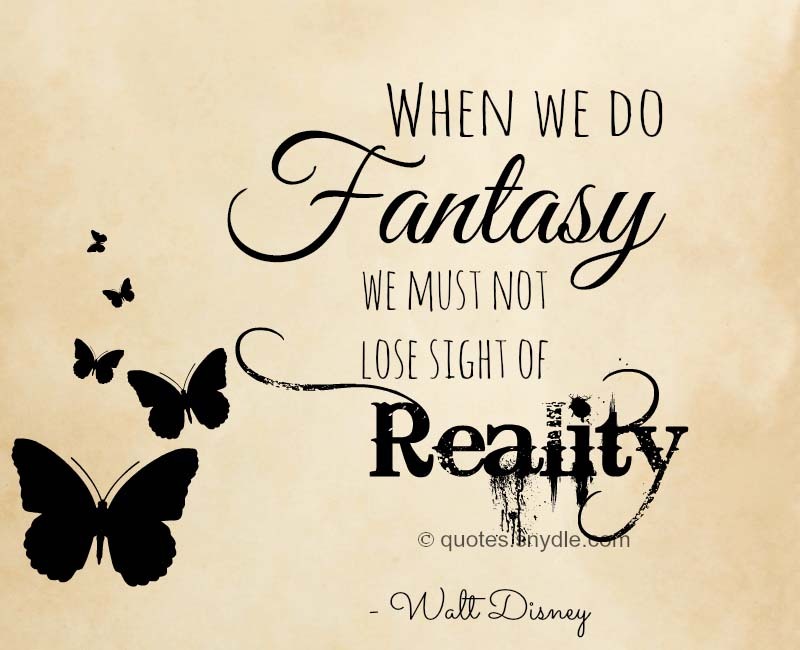 He is immortalized not only as a popular entertainer and creator of Disney and children’s cartoons but also as a successful entrepreneur who showed the world it is possible to make one’s dreams come true. 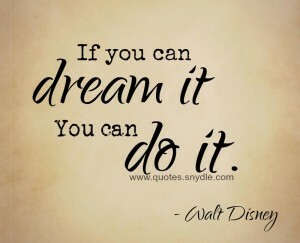 Walt Disney was not only a dreamer but also a doer. He made a lot of people happy—children and adults alike. Today, his legacy of happiness and entertainment lives on thru his words and his work. Here’s a comprehensive collection of Walt Disney quotes and sayings for you. Walt Disney is famous being the brains behind Disney. Today, he is known as a genius and a very successful entrepreneur. His words of wisdom have been passed on from mouth to mouth. 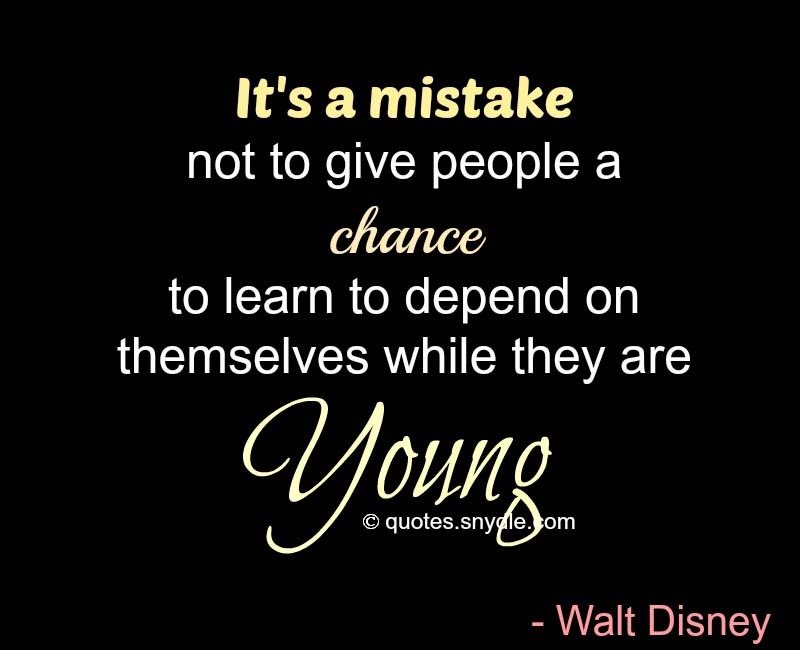 We may not necessarily be the next Walt Disney but it pays to learn from him. 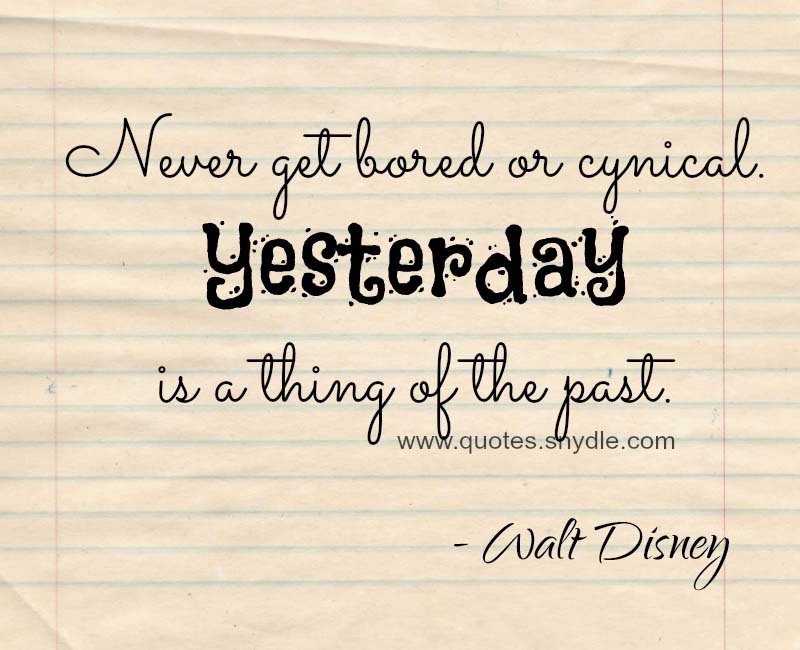 Here are some of the famous quotes of Walt Disney. Whether you say you can’t or you can, you’re right. When you believe in a thing, believe it all the way, implicitly and unquestionable. When you’re curious you find lots of interesting things to do. 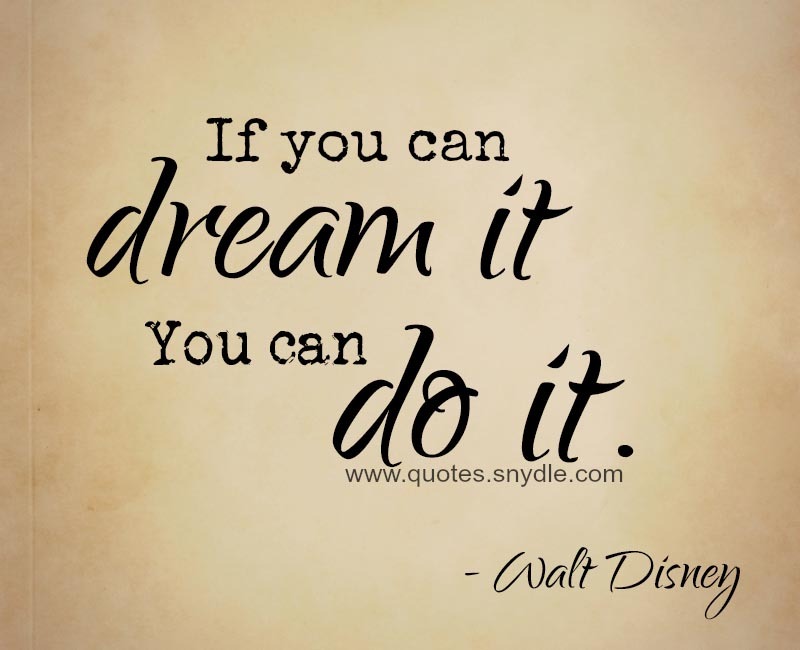 Walt Disney is a man who dreams and when he dreams, he dreams big. Not only that, he doesn’t content himself with his dreams—he strived to make them a reality. He may be long gone now, but his memory and his talent lives on. If you can dream it, you can do it. Always remember this whole thing was started with a dream and a mouse. The era we are living is a dream of coming true. Cinderella believed in dreams, all right, but she also believed in doing something about them. When Prince Charming didn’t come along, she went over to the palace and got him. First, think. Second, believe. Third, dream. And finally, dream. No one can deny Walt Disney’s love for his craft and for the world. He strived to bring a smile in every child’s heart. He is a man who loves himself and others. He was a believer of doing what one loves. Girls bored me — I love Mickey Mouse more than any woman I have ever known. To love is Nothing.. To be loved is Something. To love and be loved is Everything. Walt Disney is an inspiration to others. He is a great example of one who made it a point to chase his dreams and did not let anything get in his way. He didn’t let anything get in the way of creating happiness and making dreams a reality. A person should set his goals as early as he can and devote his energy and talent to getting there. With enough effort, he may achieve it. Or he may find something that is even more rewarding. But in the end, no matter what the outcome, he will know he has been alive. Why worry? if you have done the very best you can, worrying won’t make it better. In most instances, the driving force behind the action is the mood, the personality, the attitude of the character – or all three. Therefore, the mind is the pilot. We think of things before the body does them. People often ask me if I know the secret of success and if I could others how to make their dreams come true. My answer is, you do it by working. You don’t build it for yourself. You know what the people want and you build it for them. Walt Disney’s magic is present from movies until today. His spirit lives on in the movies we see. He has sparked our imagination and allowed our imagination to run wild. He has challenged every angle of his career and came out victorious. Animation is different from other parts. It’slanguage is the language of caricature. Out most difficult job was to develop the cartoon’s unnatural but seemingly natural anatomy for humans and animals. I don’t make films primarily for children. I make them for the child in all of us, whether we be six or sixty. Too many people grow up. That’s the real trouble with the world, too many people grow up. They forget. They don’t remember what it’s like to be 12 years old. They patronize, they treat children as inferiors. Well I won’t do that.